This is the perfect split floorplan 3 bedroom/2 bath lock and leave in North Scottsdale. 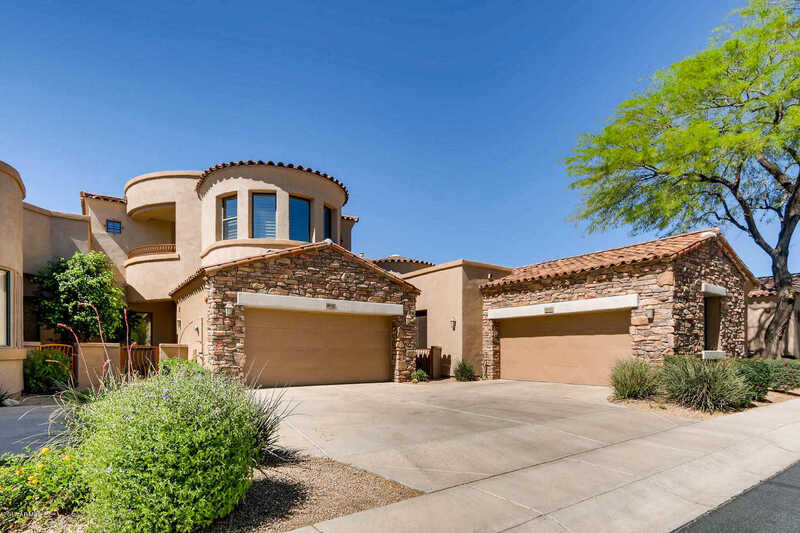 A beautiful end unit townhome backs to Grayhawk’s Talon Golf Course and offers a private patio with built in BBQ. Family room/dining room enjoys gas fireplace and built-ins. Kitchen is complete with stainless steel appliances, granite countertops, pantry and eat-in breakfast area. Master bedroom and kitchen enjoy access to patio and views of golf course. Master retreat has large walk-in closet, separate tub/shower, dual sink vanity and granite countertops. On the other side of the home you’ll find 2 bedrooms and bath plus laundry room and 2 car garage. This community enjoys a beautiful pool and spa, community center, fitness room. Hiking, community paths, golf, shopping and more are yours to enjoy. Approximate size: 1771.00 sq. ft. Please, send me more information on this property: MLS# 5911516 – $530,000 – 19550 N Grayhawk Drive Unit 1117, Scottsdale, AZ 85255. I would like to schedule a showing appointment for this property: MLS# 5911516 – $530,000 – 19550 N Grayhawk Drive Unit 1117, Scottsdale, AZ 85255.